A man who told police his 2-year-old stepson disappeared from a Balboa Park-area playground in 2002 was ordered Friday to stand trial for his murder. Tieray Jones, 38, was arrested in April in the death 14 years earlier of Jahi Turner, who authorities said was a healthy 26-month-old child when he moved to San Diego in 2002 with his mother and Jones. 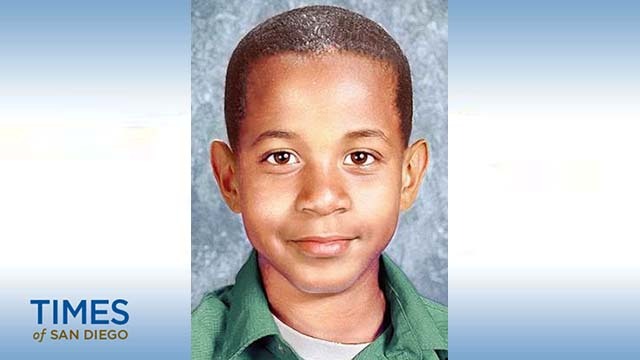 Deputy District Attorney Nicole Rooney said Jahi was last seen on Monday, April 22, 2002, at the Golden Hill apartment complex where the family lived. The child’s mother, Tameka Jones, had gone out to sea and left Jahi with the defendant, according to evidence at a five-day preliminary hearing. Jones wrote in a journal that Jahi was acting “really funny” and lethargic the next day, Rooney said. “I don’t want him hating me for something I can’t control,” the defendant wrote to his wife in the journal. Rooney said stressors in the defendant’s life — including money problems and the fact that Jahi had wet the bed where they both slept — may have led Jones to injure the child. The prosecutor theorized that Jones killed the child by either punching or kicking him and disposed of the body, which has never been found. A neighbor at the apartment complex saw Jones taking out large bags of trash to a dumpster just before the trash was to be picked up the day when he was reported missing, according to Rooney. Jahi’s blood was found on a blanket on the bed, some of his clothes were thrown away in a dumpster and the child’s pajamas were located in the trunk of Jones’ car, the prosecutor said. Rooney said the defendant gave police a “story” that Jahi was kidnapped from the 28th Street park on April 25, 2002, but witnesses never saw the child at the park that day. The prosecutor said Jones made emergency calls to his wife’s ship before he and Jahi supposedly went to the park, about a mile away from their apartment. Rooney told Judge Charles Rogers that “something bad” happened to Jahi in the apartment, and that the child suffered a traumatic injury, either head trauma or abdominal trauma. If the child was somehow injured, Jones did not seek medical care for Jahi and is responsible for his death, Rooney said. Defense attorney Alex Ozols argued that police questioned Jones extensively in 2002 but the defendant was never arrested. Ozols agreed that some of Jones’ statements at the time were inconsistent but argued that prosecutors brought no new evidence to the table that would prove the defendant’s guilt. Rogers, in his ruling to hold the defendant for trial, said the evidence was “compelling” that the 911 call made by Jones on April 25, 2002, was fabricated. “It did not happen the way he said it happened,” the judge said. Rogers pointed to the testimony of a pediatrician who said the stress in the defendant’s life increased the chances that Jahi was the victim of child abuse. Two days before he was reported missing, Jones told his wife that Jahi fell off the bed after being scared by a kitten, according to court testimony. The judge also pointed to a “controlled call” in which Jones told his wife that “accidents happen,” while not admitting that the child was hurt. “You’ll never know what happened unless you talk to me,” Jones told his wife on the call. Rogers said the evidence was “compelling” that Jahi died at the hands of the defendant. Jones faces 25 years to life in prison if convicted. Trial was scheduled for April 3.